Artificial synthetic peptides as novel anti-HIV drugs? 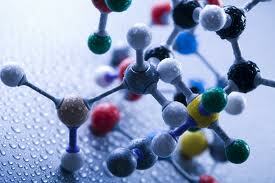 – Bio-Synthesis, Inc.
Home › Bioanalysis › Artificial synthetic peptides as novel anti-HIV drugs? Can synthetic peptides prevent HIV infections? Weiguo Shi’s group at the Department for Medicinal Chemistry at the Beijing Institute of Pharmacology & Toxicology thinks so. The group designed artificial peptides with the goal to prevent infection by the HIV virus by inhibiting or preventing virus-cell membrane fusion. The designed peptides are reported to be synthetic, highly potent peptide HIV-1 fusion inhibitors. These peptides are non-homologous with natural occurring peptide and protein sequences and are reported to specifically interact with the HIV-1 gp41 N-terminal heptad repeat (NHR) to form a six helical bundle (6HB) structure and prevent virus-cell membrane fusion. The heaptad repeat of a coiled-coil protein contains two identical strands of amino acid sequences that wrap around each other. In the class I fusion protein used by envelope viruses such as HIV, the 6HB formation provides the energy that is required for viral-cell membrane fusion and ultimate entry of viral genes into the target cell needed for replication. To enter a cell the HIV-1 virus requires an envelope glycoprotein that is composed of a surface subunit (gb120) and a transmembrane subunit (gb41) that are noncovalently associated. A model of the HIV-1gp41 ectodomain is illustrated here (above figure). It contains a fusion peptide (FP), the N-terminal heptad repeat (NHR), a loop, a C-terminal heptad repeat (CHR) and a membrane proximal external region (MPER). The designed artificial peptide target the gp41 NHR domain. The CHR and NHR domain interact in an anti parallel fashion to form the 6HB to promote virus-cell fusion. The interacting amino acid residues (a, d with g, e) are critical for the design of peptide based fusion inhibitors. Shi et al. used the sequence motif “(AEELAKK)5” as a design template together with a pocket binding domain (PDB) with a WWI motif to design a new type of artificial peptides. A WW domain is a short conserved sequence region found in a number of unrelated proteins that folds into a stable, triple stranded beta-sheet. The sequences of a selection of the synthetic peptides are listed below. It is hoped that this type of approach will lead to new powerful anti-HIV drugs that have less side effects than the existing ‘Antiretroviral Therapy” drugs (ART drugs). Great web site you have here.. It�s hard to find high quality writing like yours these days. I honestly appreciate individuals like you! Take care!! That iis a very good tip especially too thse new to the blogosphere.